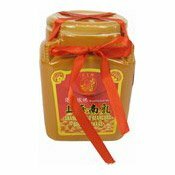 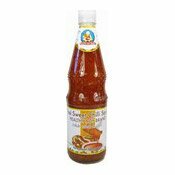 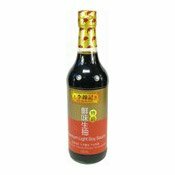 Ground chilli, garlic and special seasonings are blended into a superb sweet chilli sauce which is most appetising for fried, grilled or special menu dishes such as hot, sweet and sour grouper. 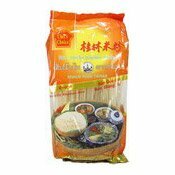 In addition, it is a perfect partner for treasured Thai folk dishes such as fish cakes or spring rolls. 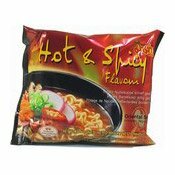 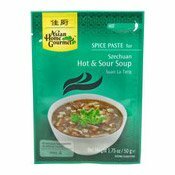 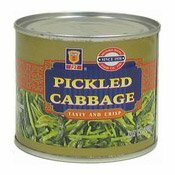 Ingredients: Sugar, Water, Garlic, Chilli Mix (Chilli, Salt, Vinegar) (14%), Vinegar (Distilled Vinegar (10%)), Thickener (E1442), Flavour Enhancer (Monosodium Glutamate (E621)).